It can be embarrassing standing at the checkout and your credit card is declined, there are steps that you can take to prevent this from happening. It is possible that your credit card is declined because the amount of money that you are trying to put on is too high and goes over your credit limit. It is possible to avoid this situation if you are looking at keeping your balance below a certain threshold, it is better to pay off your credit card bill every month, this means that you are not going to be paying the company interest payments. There is the option that if your card has been declined to phone the company as soon as possible to discuss the situation, but try and avoid putting your credit limit up because it will mean that you will find more problems in the future and you will not have solved anything. It is possible that your credit card is declined because your account has not been paid. It is important that you schedule your payments for your credit card, because they can freeze your account and this can cause you embarrassment whilst you are trying to use the card. It is possible that the card might be taken off you and cut up. If this happens it is important that you take the cut up card and dispose of it carefully. Your credit card is declined and you are not aware of any unusual use and you have paid the bill. The card could be declined if the credit card company thinks that the use is unusual. This is a way to safe guard you against fraud but unfortunately sometimes it gets it wrong and the purchase is genuine. If this is the case a quick call to the credit card company and the issue should be quickly sorted. If you have ever booked a hotel room or rented a car and they want your credit card, it could be that the company has put a hold on an amount of money. This ensures that they will get paid as per the contract. If you then use the card and there is not enough free credit left then the charge is going to be refused. It is possible that your credit card is declined when you are traveling in a different country. The credit card company can see this as unusual activity and decline the transaction. Many times, you are told to inform the company of the travel arrangements, but the practices that are put in place that can protect the card from freezing are limited and most of the time they seldom work. One reason that your credit card is declined can be the miss-reading of one of the digits or transposing a number. This can cause the card to decline because the number that you have given is incorrect. This is simple to check if you are reading the number over the phone get the people on the other end of the line to tell you the number they have typed in and you clarify this with the number on the card. If you have typed in the number again you need to carefully go through the number that you have inputted. Any errors can easily be rectified and the transaction can be re-tried. 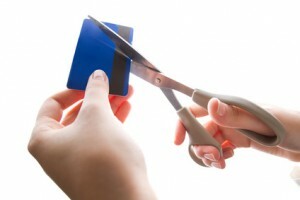 It is possible that the reason that your credit card is declined is because the card is no longer valid. The date might have passed and this is the common reason for a card to be declined. A new card arrives and you continue to use the old card and you forget to change over cards. The dated or expired card is just no longer valid, it will need to be destroyed and the new card will need to replace the expired card. There are a number of reasons that can prevent the purchase that you are trying to make go through. It is possible that the reason might simply be a cautious one on the credit card company protecting you, on the other hand it could be the credit card company protecting themselves from allowing you to increase a debt that you are struggling to pay off. These are just some of the reasons why a card might be declined in a store, the most important thing that you can do is to manage your credit card debt, pay the bills when they are due and to keep to a set percentage below your credit limit. It is not going to stop the credit card companies declining a purchase when they consider it to be fraudulent, it can be embarrassing and annoying but they are trying to protect you.